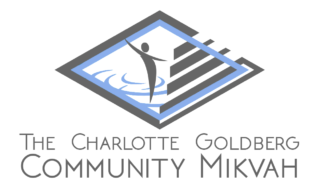 The Charlotte Goldberg Community Mikvah relies on the generosity of our donors. 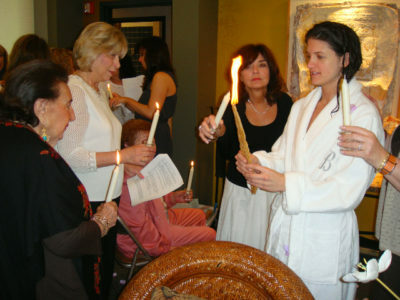 Ritual immersion is an ancient Jewish tradition. Historically, immersion was required of post-menstrual women, brides and converts to Judaism. Priests also immersed before Temple rituals, and some men before Shabbat and Yom Kippur. Today the mikvah is still used for conversions and brides, but can also be used to mark milestones or important life-cycle events. Some use ritual immersion as part of their grieving process, or to help heal after emotional or physical trauma as well. Immersing in the mikvah as you become Jewish can be intimidating albeit exciting, since it will be your very first time. Immersion is the final step of the conversion process, after convening with the beit din. These two acts highlight the importance of both public and private celebratory moments in Judaism. After you’ve met with the beit din, you will go to the preparation room and get ready to enter the mikvah. Your rabbi and the rest of your party will wait in the community room, while your attendant waits for you by the immersion pool. When you’re ready, the attendant will guide you into the mikvah, then let the rabbi know once you’re in the water. The rabbi will stand behind a screen to maintain privacy, but can be heard through the screen in the mikvah pool. Below are the blessings you’ll be asked to recite before immersing three times. It is traditional for brides to immerse before their wedding day. In fact, in Israel, immersion is required for brides married under the auspices of the rabbinate. Immersing in the mikvah prior to a wedding offers a quiet moment to mark transitioning into a new phase of your life. Grooms are welcome to celebrate this transition with an immersion, as well. The marriage of a son or daughter is also an important milestone in a parent’s life. Moms and dads sometimes choose to immerse prior to a child’s wedding, reflecting on the changes in the family, and the addition of a new son or daughter. Below is a sample ceremony for brides, which you and your attendant can tailor to your specific needs. The Community Mikvah offers many non-traditional prayers that honor celebratory events such as birthdays, anniversaries and bar/bat mitzvah’ot. Some choose to do an immersion to celebrate a graduation, starting a new job or career, or perhaps upon retiring. Immersion can also be used to honor the anniversary of one’s conversion to Judaism, recovery from an illness, or a period of sobriety. There is no “cure” in the waters of the mikvah, but many do find a sense of closure and spiritual healing there. Immersion can be used to acknowledge the changes and challenges inflicted by illness and loss that may otherwise go unmarked. Some choose to immerse after being diagnosed with cancer as a way to emotionally prepare for treatment, and some immerse after completing treatment. Individuals have also immersed in the mikvah after suffering a miscarriage, stillbirth or infertility; at the end of a mourning period; perhaps after a divorce. Immersion is also a way to embrace the future with gratitude having come through difficulty. In some parts of the Jewish world, men visit a special “men’s only” mikvah every week in preparation for Shabbat. Today, women as well as men undertake this custom, a physical enactment of the separation of the Sabbath from six other days of the week; a way to slow down and prepare the body, mind and spirit for a day of rest and renewal. 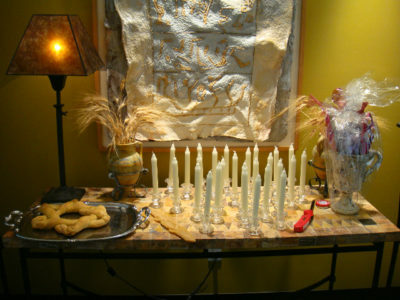 Immersing before major Jewish holidays is another time-honored custom that has been embraced anew. 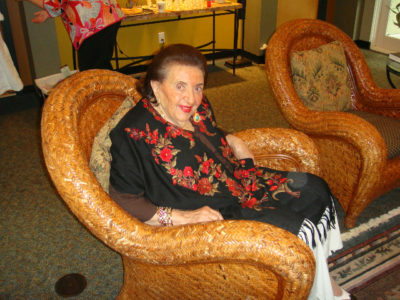 The Community Mikvah offers ceremonies for use prior to Rosh Hashanah, Yom Kippur and Passover. For thousands of years, Jewish couples have observed the laws of niddah (separation) to sanctify their sexual relationship. Traditionally, a couple refrains from intimacy during a woman’s menstrual cycle and for seven days afterward. Immersing in the mikvah marks the point at which the couple may reunite physically. Historically, American Jews have, for the most part and for many generations, rejected niddah as archaic and demeaning to women. The practice was limited almost exclusively to the Orthodox community. 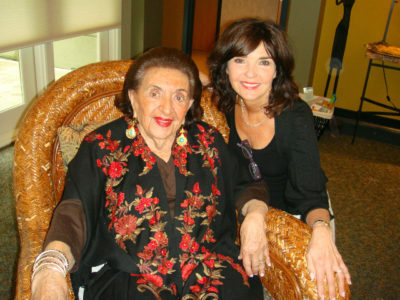 However, over the past decade or so, Jewish women of all descriptions and denominations have revisited the practice, discovering and infusing new meaning in its attention to female cycles. At the Community Mikvah, members of the Conservative, Reform, Reconstructionist, Orthodox, as well as unafilliated Jews are all welcome to experiment with monthly immersion. 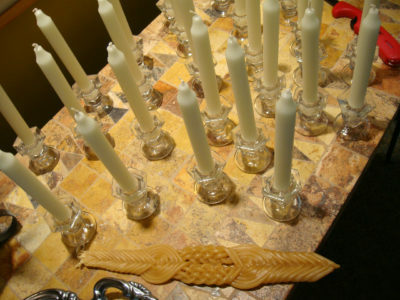 This diversity of practice is a hallmark of all Jewish ritual. Though traditionally viewed as a woman’s practice, Jewish men have been using the mikvah for centuries. In ancient times, priests were commanded to immerse before certain Temple rituals. Since then, men have customarily visited the mikvah prior to Shabbat and Yom Kippur. At the Community Mikvah, men are encouraged to use immersion as a distinctly Jewish ritual to mark a variety of life’s important moments, just as women do. 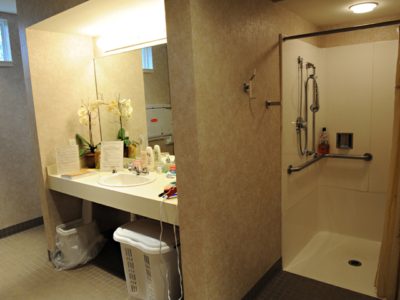 The Community Mikvah also holds an annual Men in the Mikvah event just before Yom Kippur. For more information, please visit the Park Men’s Club website. This event is open to the community. Registration is required. Thank you for this peaceful spiritual experience and for making it available to the Jewish community. I am so proud to have had my conversion here in such a beautiful facility. 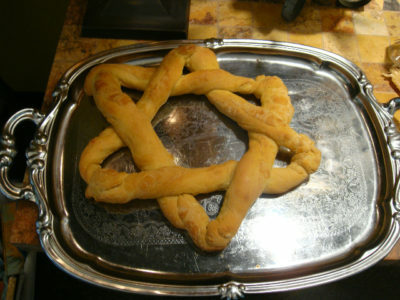 It made the whole experience even more meaningful as I embark on my new identity with the Jewish people. 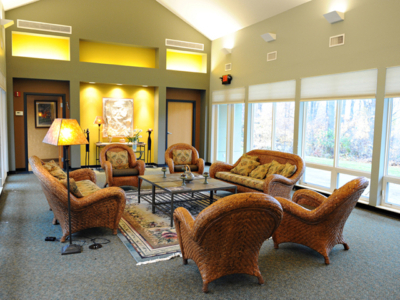 From the ‘business’ of the get, I came into this welcoming space of transformation. I come here today with hope and prayers after months of trying to be blessed with a baby. 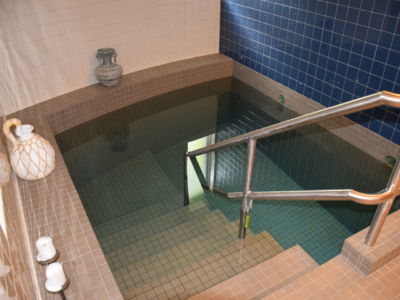 The mikvah was like immersion in a womb – symbolic of all our hopes and dreams. What a wonderful way to cleanse the soul, reflect on my past and look forward to the future on my 60th birthday. Knowing that my mother went to the mikvah before she got married made me both intrigued and sure that I also wanted to participate in such a wonderful tradition. I am renewed and ready to enter the holy space of Yom Kippur.